Leading HPC cluster experts Nor-Tech have also perfected high performing workstations for multiple applications. Did you know that even though Nor-Tech is one of the world’s premier HPC cluster builders, we started out as workstation experts? In fact our engineers continue to build the most efficient, effective, and high performing workstations available. Like our clusters, our workstations come fully integrated with the applications you request and ready to deploy. The need for hardware at multiple locations. Dependence on software that only runs on workstations such as Autodesk. Not yet ready to make an HPC cluster purchase. Dedicated Use. Workstations are usually tailored to a particular trade or function to optimize productivity and results and reduce time needed to complete tasks. Cost/Performance. While the investment in a workstation is typically more than that of a standard desktop, the increased ROI gained by using a purpose built, more powerful, higher performance system actually reduces the cost of doing business and makes your employees more productive. Power. Purpose-built Nor-Tech workstations are often optimized to handle tasks such as animation, data analysis, CAD, video and audio creation and editing, and even some simulations; they can support multiple professional-grade graphics cards. Even an entry-level workstation can be configured with about twice the memory of a desktop. Durability. Each part (motherboard, CPU, RAM, internal drives, video cards, etc.) is typically more robust than desktop components and is selected with the expectation that users need peak performance 24/7/365. Speed. Speed gains are typical and often significant; for example the same file that opens in 15 seconds on a desktop can open in as little as 2 seconds on a workstation. Flexibility. A workstation can be configured with more processors than a PC–and processors that are more powerful. They can run up to 8 high-end graphics cards for CUDA or OpenCL computations or even use Intel Phi co-processors all for parallel computing. RAID configurations or massive amounts of memory, Enterprise class SSD drives, and more are available. Expandability. Workstations are designed from the ground up to make it easy to add hard drives, increase RAM, add graphics cards, etc. and get the best ROI for your IT budget. We create workstations relied upon by industry leaders—from architects to product designers to financial traders to medical/research professionals, to software designers and engineers. Engineering & Architecture: Get head of the competition by leveraging turbocharged CAD and CAD and CAE applications to complete projects and bring products to market faster. Medical & Science: Reliably access powerful data analysis and high-resolution medical images. Oil, Gas, & Energy: Exploration requires power to run complex simulations, data processing, and imaging both in the office and out in the field. This is an excellent application for mobile workstations. Finance: Meet today’s market demands with the power to compute vast streaming datasets while protecting your traders and reputation. Media & Entertainment: Maximize the quality and quantity of creative output with increased processing speed and certified software. With the latest enhancements and the incorporation of solid-state drives (SSDs), caches and ultra-high performance video cards, Nor-Tech’s workstations are equal to the most demanding task. Solutions range from the ultra-compact to mobile to some of the most advanced workstations in the world. All Nor-Tech workstations can support a variety of operating systems; however our engineers work primarily with Windows® and Linux for top performance, flexibility, and reliability. We also work closely with our partners to ensure the highest level of hardware and software quality. Even the most powerful computer can be handicapped by a sub-par GPU, which is why our workstations are integrated with a choice of industry-leading cards from AMD, Intel, and PNY’s NIVIDIA® Quadro—Nor-Tech is a Preferred NVIDIA Solution Provider. Designed, built and tested by NVIDIA, Quadro® products are the #1 choice of millions of creative and technical users. Equipped with the world’s most powerful GPUs, large memory capacities, multiple 5K display outputs, advanced features to drive photorealistic VR environments and more; Quadro is built to accelerate a range of professional workflows. Optimized, stable drivers with a predictable cadence, ISV certifications with over 100 professional applications and helpful tools for IT management are just some of the system benefits of Quadro. 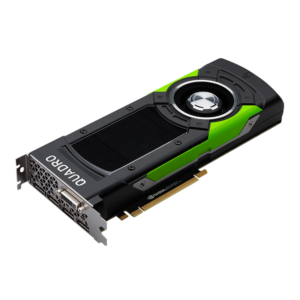 NVIDIA® Quadro® GPUs provide you with the most powerful visual computing capabilities anywhere you want to work. The latest NVIDIA GPUs for mobile workstations deliver up to three times the graphics performance, twice the memory and nearly twice the compute power of the previous generation, enabling professionals to enjoy desktop-level performance and capabilities on a mobile device. Pascal GPU technology enables thin and lightweight mobile workstations without sacrificing performance or features. We rigorously test all professional graphics solutions to ensure peak performance, low acoustic properties, and excellent power and thermal management in our workstations. AMD’s EPYC and Intel’s Skylake/Purley are two powerful, scalable workstation solutions that we currently recommend integrating into our workstations for maximum performance. The highest core count in an x86-architecture server processor, largest memory capacity, most memory bandwidth, and greatest I/O density are brought together with the right ratios to reach new levels of performance. Core count can be matched with application needs without compromising processor features. AMD created the first dedicated security processor embedded in an x86-architecture server SoC. The processor manages secure boot, memory encryption, and secure virtualization on the SoC itself. Encryption keys never have to leave the processor. Up to 32 high-performance cores (64 threads): Boosts performance and compute density. Up to 2TB of DDR4 memory capacity (across 8 channels): Accelerates memory-intensive application performance. 128 Lanes of PCIe Gen 3: Extends server capabilities without incremental PCI switching. Integrated security subsystem: Protects and enables secure multi-tenancy per CPU/SoC. 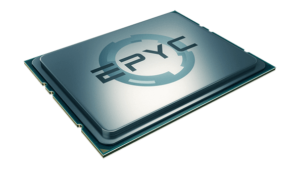 The AMD EPYC SoC brings performance optimization to a higher level, delivering the highest core count and memory capacity; and the greatest memory bandwidth, and I/O density in the industry. Intel Advanced Vector Extension 512 (Intel AVX-512): Intel AVX-512 extensions can deliver an up to 2x flops per clock-cycle peak performance capability increase (over AVX2), especially important for HPC, data analytics, and security/cryptography workloads. Intel Omni-Path Architecture (Intel OPA): Accelerated I/O fabric. Intel QuickAssist Technology (Intel QAT): Hardware-enhanced security (crypto) and data compression offload. This is available as an integrated option. Advanced RAS: reliability, availability and serviceability. Up to 1.59x higher performance running in-memory SAP HANA workloads over the generation it replaces. SAP HANA certified to support up to 6x greater system memory on the new Intel platform for 4- or 8- socket configurations over the representative installed base of systems available four years ago. Up to 3.9x higher virtualized throughput and more VMs/server vs. Intel® Xeon® processor E5 performance estimate based on virtualization infrastructure consolidation workload. Need a powerful, customizable workstation fully integrated with the applications you need and ready to deploy at hour one?